Never Enough Nails: Lynnderella Friday, Vol. 49!! Happy Friday!!! Today is a special Friday- my mom's birthday!! We're doing a nice dinner later, presents, and then delicious ice cream cake! I hope you have some good plans this weekend. Today I have two beautiful Lynnderellas for you, one new and one classic. The new one is Lynnderella Seaing Green. Seaing Green is a "translucent sea green turquoise with lilac and aqua shimmer as well as a lilac glow". It's a gorgeous shimmery aqua concoction that has the most beautiful dash of blue-purple shimmer. This is one of my favorite recent polishes of any brand, it's just stunning. This is three thin coats. There was a little bit of translucence left, but I liked it. I think it looked like sea glass. This was nice and easy to apply. I wore this polish for 6 days while I was on vacation in Florida and had ZERO chips and just a little tip wear on my thumbs. And I wasn't exactly babying my nails while vacationing in Disney!! 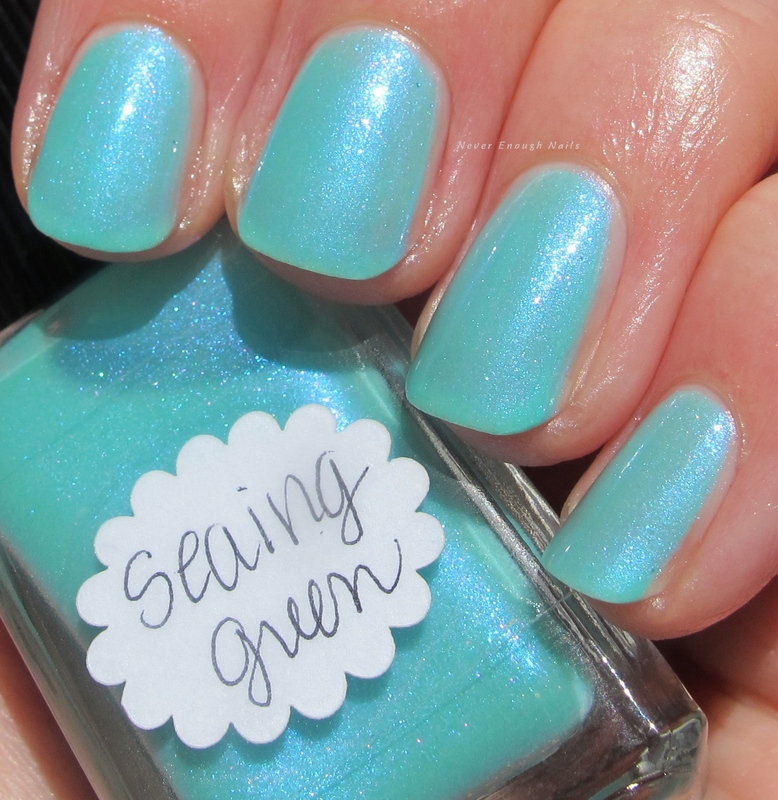 Seaing Green was part of a batch of limited polishes (less than 25 were made!) and is currently sold out on lynnderella.com. But you can always hope for a return sometime, or maybe to find it for sale. 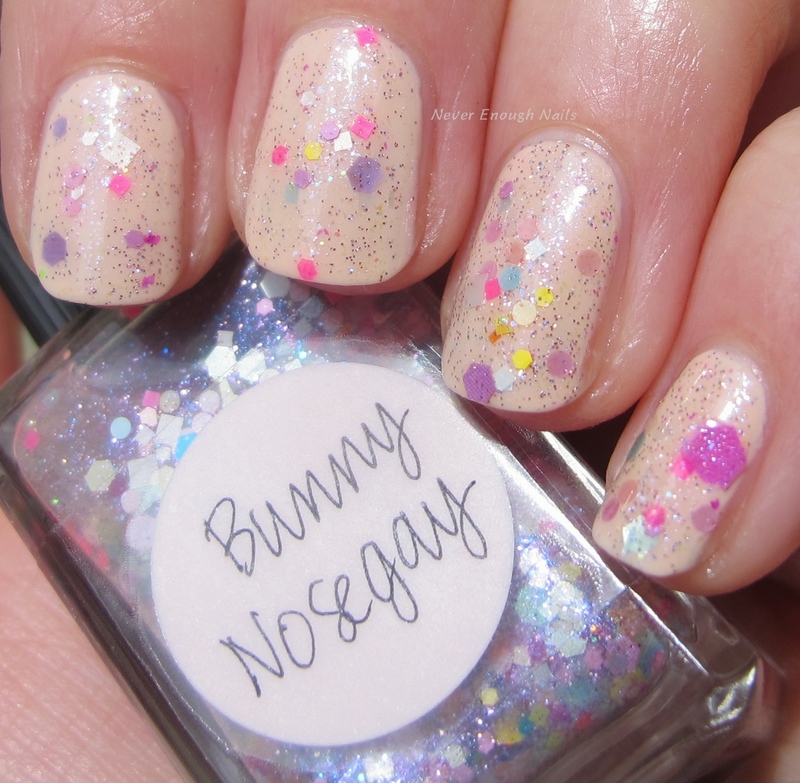 Lynnderella Bunny Nosegay is an older core polish that I just love! It was part of a spring collection a few years back and still screams spring to me! It has a mix of pretty pastel and bright glitters in many different shapes and sizes, in a clear shimmery base. 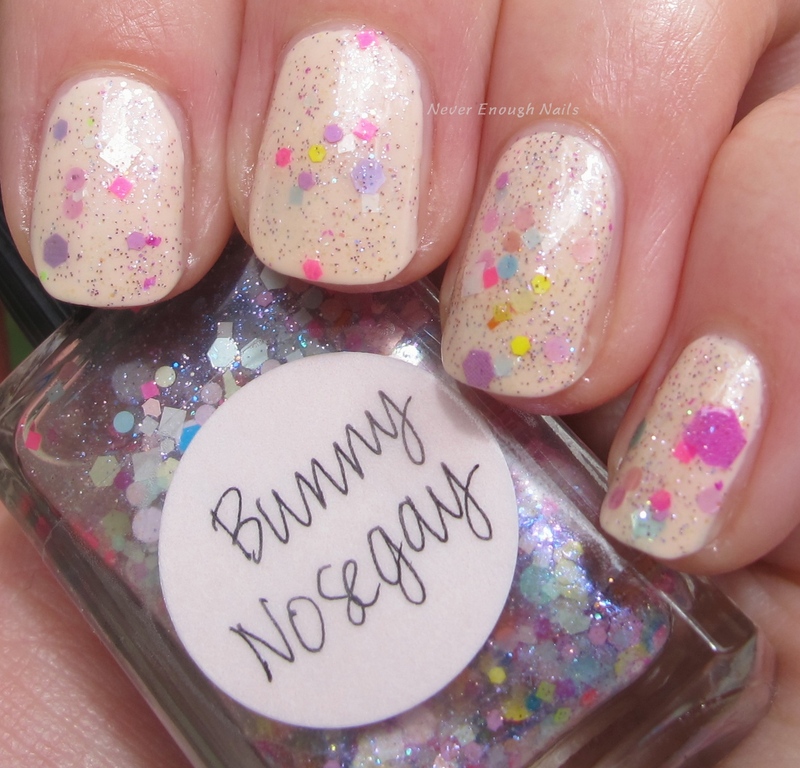 I used one coat of Bunny Nosegay over OPI Staying Neutral on This One. Bunny Nosegay applies well and the formula is still a perfect consistency, even though my bottle is a few years old. Bunny Nosegay is available on lynnderella.com now! Seaing Green's limited companions are still available on lynnderella.com, so make sure you check those out here- https://lynnderella.com/collections/new-lynnderellas. I just ordered Opal Flower Moon, so I'll have swatches of that soon!